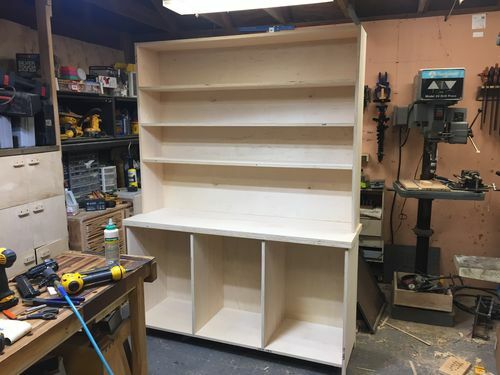 The wife asked if I could build something for her friend wanted. So I did, under the condition that I didn’t have to paint it. Don’t really like this type of work but it came out ok. The wife said she needed it done for the second weekend in June. She was very adamant about it. Very smart move on not painting. Looks good, and if you had used alder to be painted, we’d have to kill you. Nothing personal. Purity darn nice, I’m not really a fan of paint or even stain for that matter. Very nice, clean lines, I like it. Very nice project great workmanship. Wife’s friend and friends wife ? You build anything for yourself ? 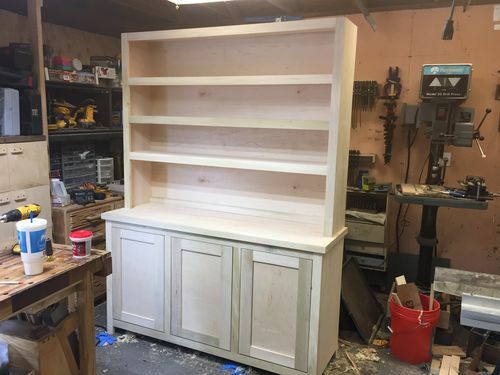 Very nice hutch. I think you should paint it. Wow! This is a big project and so nicely done. Congratulations.